Sooo, remember my post 2 weeks ago about fighting fear and being vulnerable? Read this post to get caught up. Well, I got back on the horse. I was all vulnerable up that Zumba class and rocked it out. The Zumba culture has its own fashion sense, which I love. It’s all about bright colors and funky swag. Some of the dedicated Zumba-goers tend to add their own accessories/flair to their workout wardrobe. I’ve never been much of a headband girl in daily life, but I often need something to keep my bangs off my face during workouts. So I wore my super cute grey and white chevron knit headband from Natalie Jeanne Designs to my back-in-the-saddle Zumba class last Sunday. It’s tight enough where it didn’t fall off and I didn’t have to fiddle with it, but soft and pliable enough for comfort. 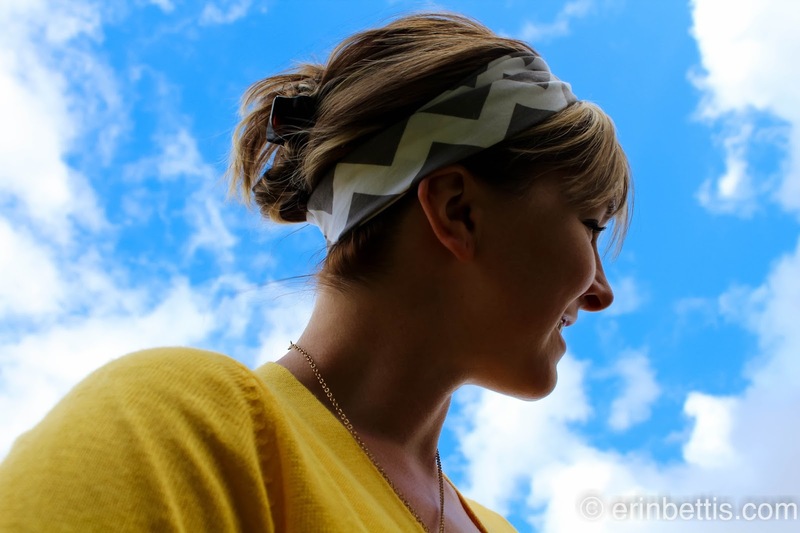 The chevron headband served both function and fashion. Yeah, that necklace? Friggin’ love it. It’s the Becca Necklace. 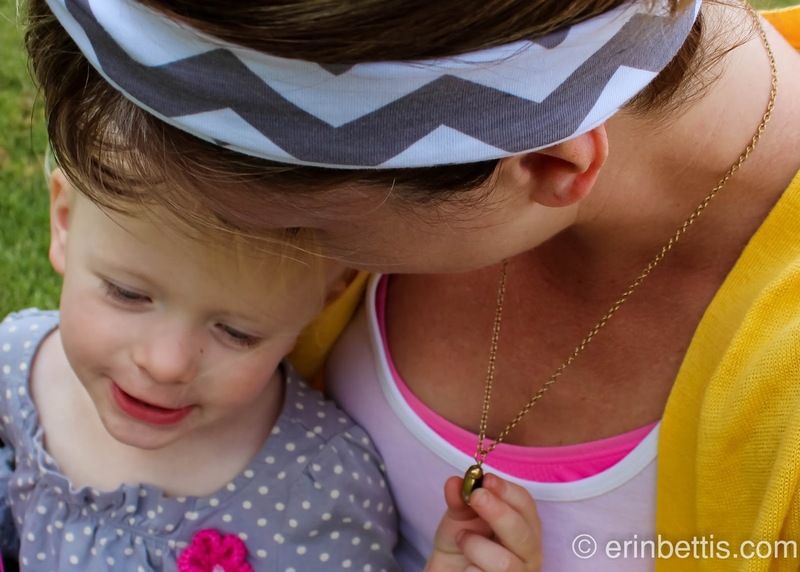 You can get it and the chevron headband (and anything in Natalie’s shop for that matter) for 20% off right now. Head on over to Natalie Jeanne Designs to scope out the many adorable accessories she hand-crafts. To get the deal, enter the discount code “ERINB20” at checkout. EB: What is your inspiration for creating headbands? EB: How long have you been in business? NJD: My Etsy shop officially opened at the end of June, 2013. I'm still new to this and have SOOO many ideas for new pieces!! EB: How long have you been designing jewelry? NJD: I started making jewelry about two years ago. It was close to Christmas, and I like to make handmade gifts for my friends. I had been really into knitting at the time, but didn't have enough time to make gifts for everyone. So I had a random idea to make some jewelry and I loved it!! I've been making jewelry ever since. EB: Where do you find your materials? NJD: I am a big supporter of small businesses. I try to purchase all of my materials from other Etsy shops. I don't feel like I need to make the most popular item out there, I want to be different, so I don't need to buy huge volumes of one item to make a necklace. This holiday season, please join me in supporting small businesses such as Natalie Jeanne Designs to do all or most of your shopping.